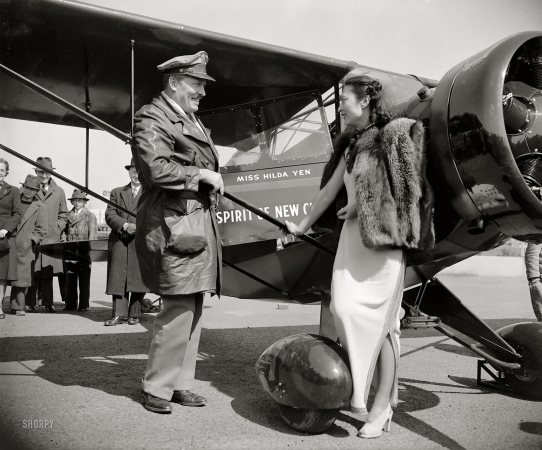 "Col. Roscoe Turner, winner of speed trophies in the air, dropped down to Washington Airport today with a red high-wing monoplane which he presented to the friends of New China, represented by Miss Hilda Yen, Chinese Aviatrix. The plane, 'Spirit of New China.' was built by the Porterfield factory." Harris & Ewing glass negative. Washington, D.C., April 3, 1939.